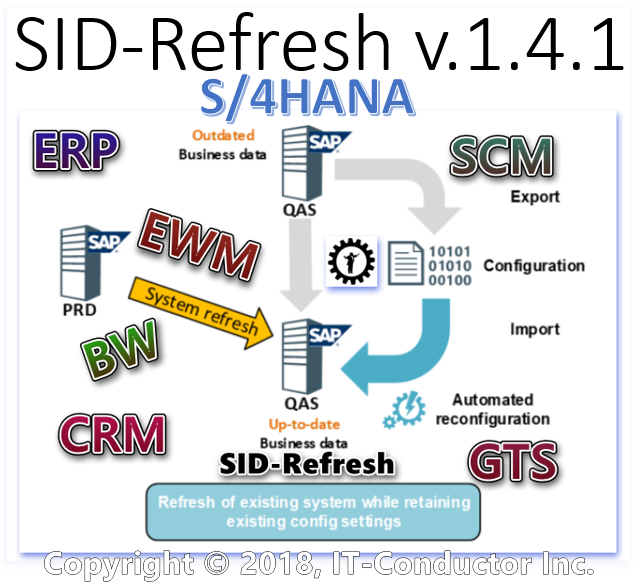 As of May 1 2018, we have released an updated version 1.4.1 adding S/4HANA support to the list announced in February, 2018 (v1.4) where technical configurations included: ALL Netweaver ABAP instance TYPEs (BW, ERP, HR, CRM, SRM, SCM, GTS, WEM). It is offered as a subscription service included FREE in our monitoring, or for separate subscription. 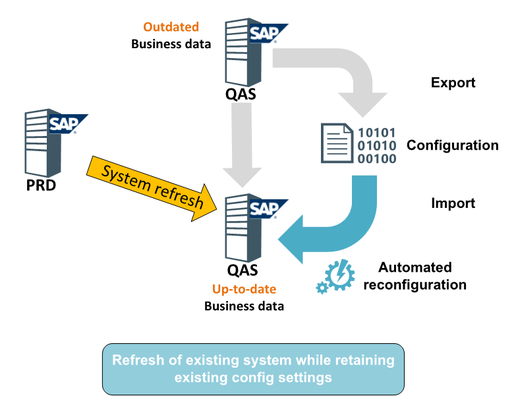 If interested, please Submit an Inquiry or visit the SID-Refresh Solution Page for further details on cost, and user guide. 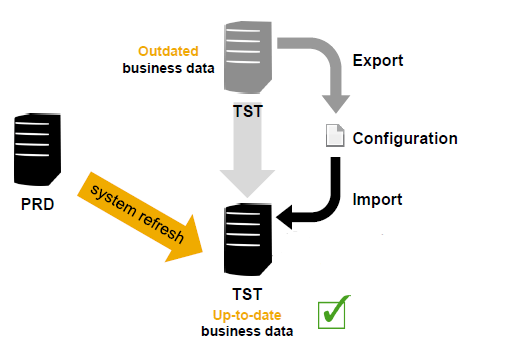 "With SID-Refresh we save a lot of time, exporting customizing settings before a SAP System database refresh, and even more, when restoring them, after the copy: the tool rebuilds the selected customizing settings in a safe way and prevents possible mistakes coming from manual changes."